C-section births account for one in three of all births in the U.S. Whilst we all hope for a straightforward (and quick) birth, sometimes medical intervention is necessary and a C-section becomes a must for mom’s and baby’s health and well-being. 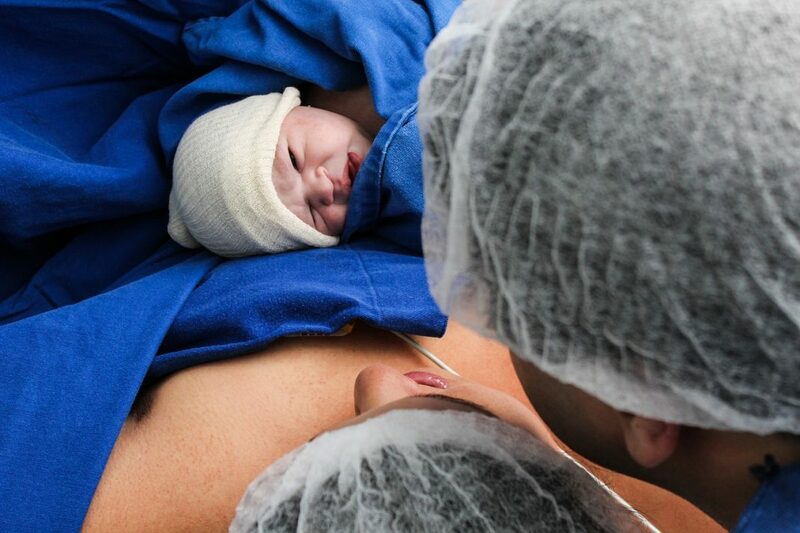 Dr. Natalie Sohn discusses the reasons for a C-section delivery, the differences between an urgent C-section and a planned one, the side-effects and possible complications, as well as c-section birth when the mom has a blood clotting disorder. Charles: Hello and welcome, we have with us Natalie Sohn MD an OB-GYN who will be helping us get some answers about C-Sections. Welcome to Dreaming of Baby! Would you be so kind as to introduce yourself to our readers? Natalie Sohn MD: I am Dr. Natalie Sohn. I have been a board-certified OB-GYN for the past 20 years in South Florida. Charles: Excellent, thank you for that introduction. I would like to start by getting a basic understanding of what a C-section is, especially for our male readers who may not be as familiar with the procedure and when it is needed. Natalie Sohn MD: A Cesarean Section, named after ” Caesar” (one of Rome’s Caesars was supposedly delivered by the first C-section), is a surgical procedure in which the baby is delivered through an abdominal incision. According to Myth, it was Julius Cesar who was delivered by Cesarean Section. Charles: Is this an optional procedure that is preplanned? Can it become an emergency requirement so to speak? 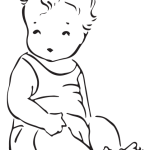 To preserve bladder function – vaginal births increase the risk of subsequent prolapse and incontinence. There are some who advocate c-sections for the reason of vaginal and bladder preservation. As for emergency C-Sections, fetal distress, severe bleeding, severe preeclampsia, and very preterm labors, are some of the reasons. Charles: With regards to malpresentation, can you explain the terms a little more for us to get a better understanding? Natalie Sohn MD: Fetal Malpresentation means that parts other than the head are presenting to the vaginal canal. It can be a dangerous situation if the baby gets stuck in an odd position. Charles: How common would you say are emergency C-sections? Natalie Sohn MD: Truly emergency C-sections are uncommon but for those cases, it can be a very stressful event for all involved. Charles: Would the procedure for an emergency C-section be the same as with a planned one? Natalie Sohn MD: They are similar procedures but emergency surgeries are done more quickly, and sometimes general anesthesia is used so that no family member is allowed to be present. ‘Emergency’ is a term which is only used for urgent cases – when the mom and baby’s lives are at stake. Mom may be, for example, bleeding heavily, so blood products may need to be urgently given, general anesthesia (instead of spinal which is usually used, may be needed), there is often more personnel involved with emergency CS’s. Most cesareans which are deemed “emergency” are actually “urgent” cesareans, which usually process pretty much in the same way elective ones do. Natalie Sohn MD: There is always more stress when things don’t go as ” planned.” Nowadays, women have high expectations for their births, and the need for a cesarean often creates a sense of disappointment. Charles: And would recovery also be different? Natalie Sohn MD: Perhaps – there is evidence that infection rates are higher for unplanned cesareans than for planned ones. In an unplanned cesarean, the mom has often been in labor, with the cervix dilated, for a while and this creates a mode by which bacteria enter the uterus. Also, women who have had emergency procedures often have been awake in labor for many hours so they are more tired post-cesarean. Some of the recovery depends on the overall health of the mother in general. There are some patients that bounce back quickly while others take a much longer time. Charles: Thank you for this insight, Dr. Sohn. In the case of an unplanned cesarean, would the mom need to give her consent? What happens if the mom can’t answer? Natalie Sohn MD: In our hospital, women sign a universal consent to labor which includes consenting to cesarean section if need be. Of course, we cannot force anyone to have surgery they refuse. But refusal of a needed cesarean is rare. Charles: Thanks for clarifying. And should a partner or person accompanying the woman need to have any documents or information handy, in case of an emergency? Natalie Sohn MD: The patient’s family members should always know about the medical conditions, medication, possible baby problems, etc. This is vital information that the medical personnel needs in case the mom is incapacitated. Charles: Moving on to a different aspect of our conversation on C-sections. Are there any side effects or possible complications that can arise from a C-section? Natalie Sohn MD: Bleeding, infection, damage to organs (like the bladder) – these things can happen with vaginal birth too, but the rate is increased with a C-section. Charles: So in such cases, is there anything that can be done to reduce the likelihood and what can one expect in terms of prognosis? Natalie Sohn MD: Good surgical technique, sterile OR environment, good anesthesiology, and nursing are all important. 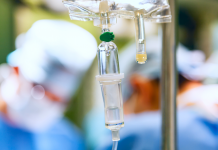 It is standard of care to give preop IV antibiotics and to scrub the abdomen with antiseptic solution before the cesarean- this decreases the risk of infection. Charles: This is very informative, with regards to the baby; is a cesarean better, are there any differences between being delivered by cesarean as opposed to natural birth? Natalie Sohn MD: There is an increased risk of needing neonatal intensive care admission after a cesarean but this is due to the fact that the Cesarean is often performed when the baby is compromised -so the Cesarean section itself does not cause worse outcomes. What happens when the mom’s life is at risk? Charles: Understood, I assume in most cases the parents-to-be would have already been informed when this is the case unless it is an absolute last minute emergency. One of our male readers had a big question I am not sure if you can answer for us. In the situation where the mother’s life may be at risk or the baby may be at risk but a choice has to be made between the two what is the common course of action? Natalie Sohn MD: The mother comes first – that is a golden rule in Obstetrics. Charles: Can the mother dictate otherwise? I would imagine the partner cannot and probably would not; however, if a mother was adamant about prioritizing her baby what would happen and can she? Natalie Sohn MD: We have an ethical duty to preserve the mom’s life but we can’t do anything against her wishes. So people can refuse our recommendations. Charles: You said some mothers-to-be opt for a C-Section, considering the increased risks what are the benefits of making this choice, if any? Natalie Sohn MD: There are benefits for some – there is a decreased risk of urinary incontinence in later life and this is well documented. Also, some women are very afraid of labor and they make an educated decision to bypass the labor process. Nowadays, if a woman demands an elective cesarean section, they get it. A woman has the right to choose this. It’s not a common scenario, however. Charles: Excellent, thank you for this information. I have just a few more questions for you today. When going down the cesarean section route for whatever reason, are there any common drugs that are used in the process and are there any drugs, supplements that should be avoided by the mother prior to the procedure. As an addition to this, is there a preferred period of not eating due to the possibility of needing to undergo anesthesia? Natalie Sohn MD: No eating or drinking for 8 hours – and this is for safety. Women can aspirate (inhale stomach contents in the lungs which causes pneumonia), while under anesthesia. Also, blood thinners must be stopped days before. Charles: In the case of blood clotting disorders, would a professional need to be brought in to create a treatment plan? In the case of an emergency, what information would the medical team need to have handy? Natalie Sohn MD: Blood clotting disorders: that’s a huge topic in itself. When a woman has a clotting disorder, which can lead to excess bleeding, the factors must be given prior to the surgery and blood products must be available for possible transfusion. Natalie Sohn MD: There are other clotting disorders, at the opposite end of the spectrum, which make women MORE susceptible to clots – these women would get blood thinners starting 25 hours after surgery to prevent leg clots. Charles: I would like to thank you for your time and the information you have provided to us today. On a final note, for the partner of someone undergoing a C-section, is there any advice or information you think they should know about that we didn’t cover here today? Natalie Sohn MD: Needing a cesarean section should never be considered a ” failure”. Labor is a natural process and in nature, events cannot always be controlled. Recovery from a cesarean can be quick and women may go home in as little as 2 days. Charles: Thank you so much for your time, it has been a pleasure having you with us here today. Get in touch with Natalie Sohn MD – Obstetrics and Gynecology, by clicking here.